As with many of my webpages this is mainly for my benefit. 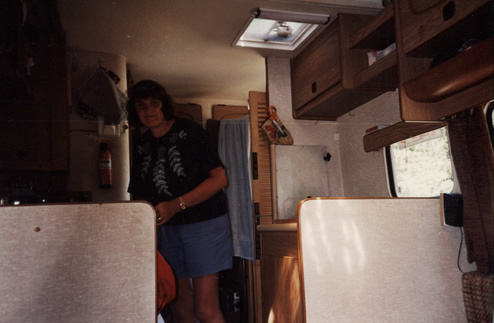 We first went camping in a very old rented Ford camper in 1989. 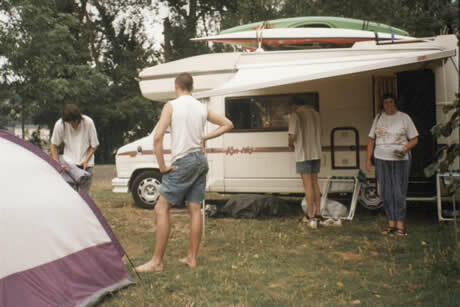 We (Me Liz, Clive and Hugh) travelled for about a month in France. 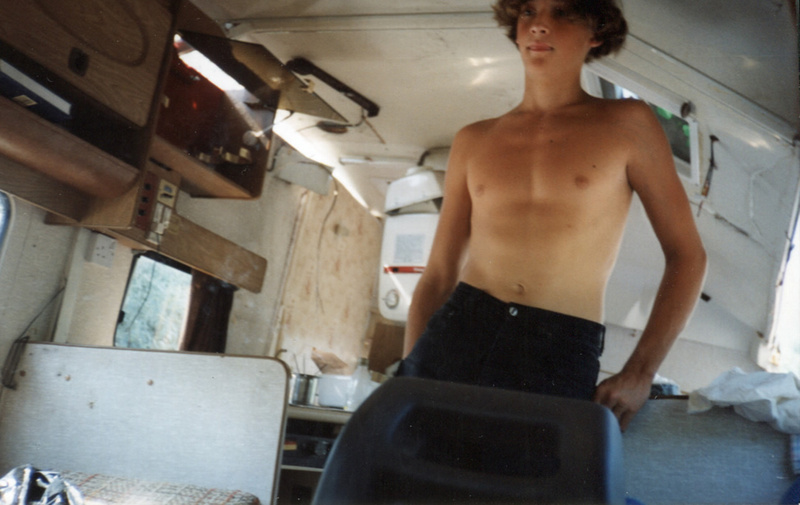 We always camped wild (Camping Sauvage) except for one night after coming down a mountain with weak overheated brakes. 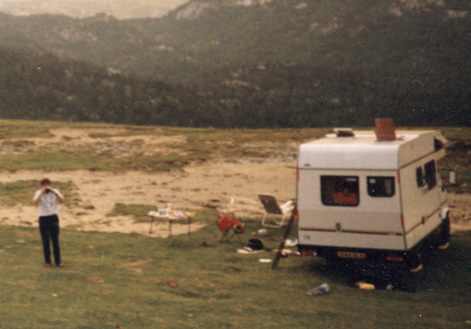 We went to the Chateau Queyras region - where Hannibal crossed the Alpes. 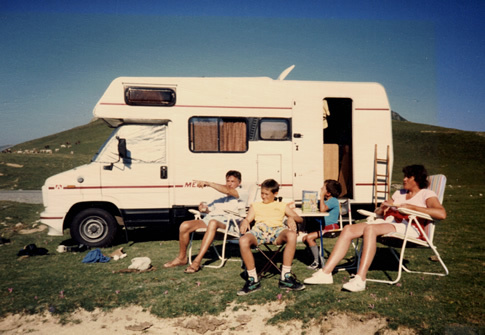 In 1989 we bought a two-year old Merlin Campervan which we had for six years. 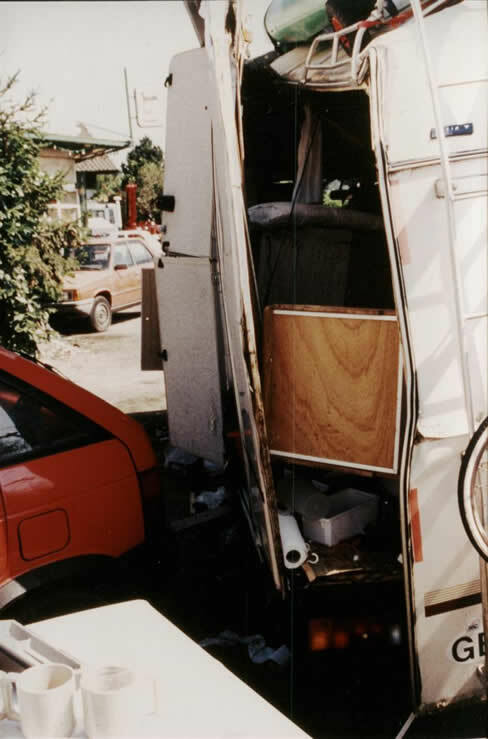 This died in a crash on a motorway in France after a rear puncture. 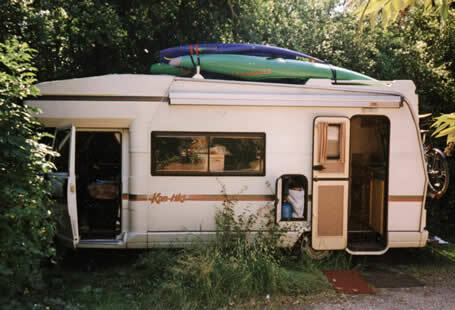 We replaced it with a five year old Swift Kontiki in 1995. 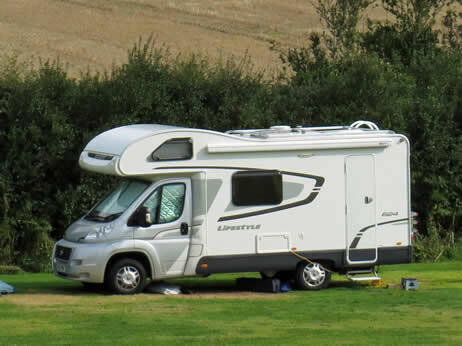 After we had travelled about 60,000 miles it slowly expired and was put out to pasture in July 2014 to be replaced by a one-year old Swift Lifestyle. 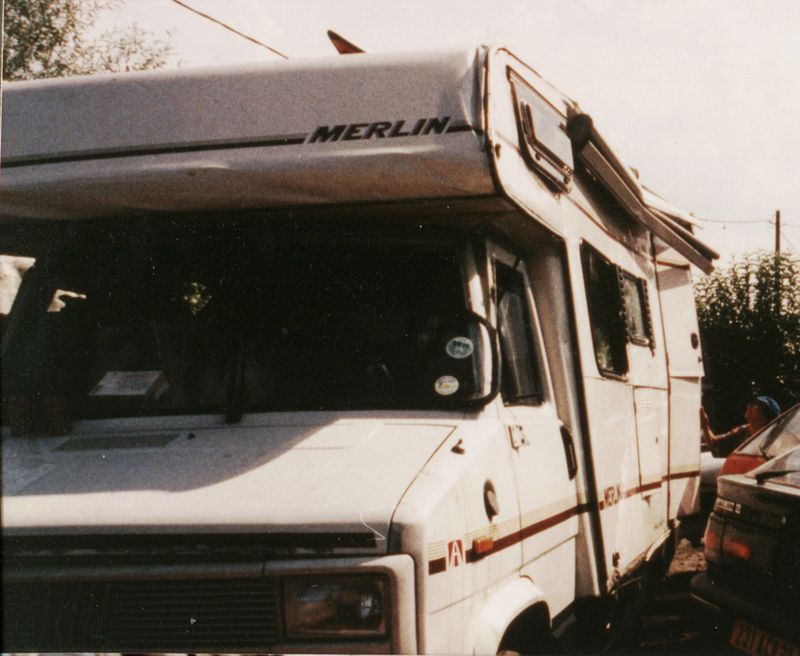 The Merlin Based on 2 litre Fiato Ducato petrol. 5 gears (total). 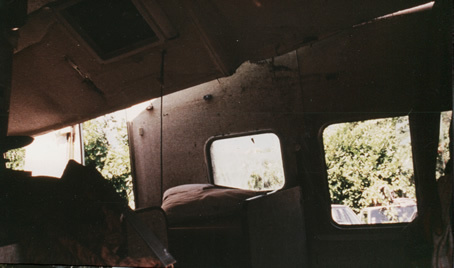 No power steering. 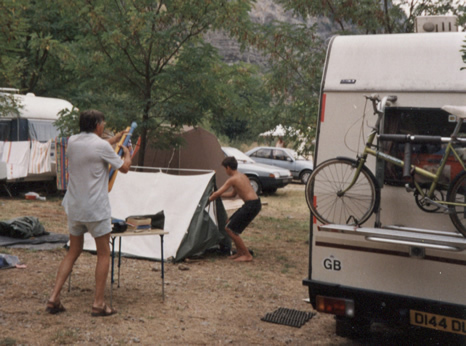 In 1994 we had a puncture (rear offside)on a motorway on our way toward Grenoble. After a valiant attempt to keep control we faced the oncoming traffic and crashed onto our side. No one was badly hurt although we were taken to hospital for Clive to have stitches for a cut over his eye. The RAC looked after us. 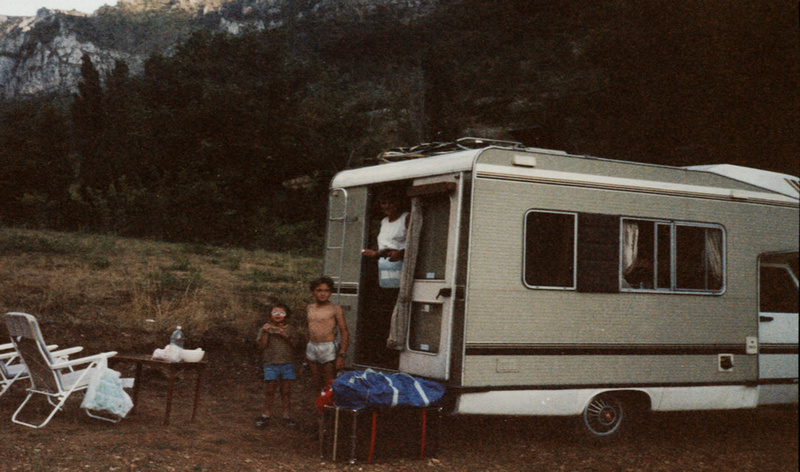 We came home in a hired car. 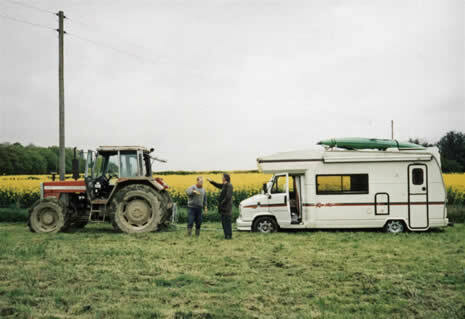 Clive and I went out with a hired Transit to collect all that we could - especially the kayaks. 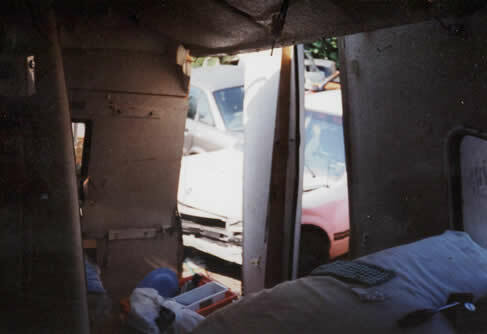 The insurance company paid us the same for the van as we had paid for it six years earlier. 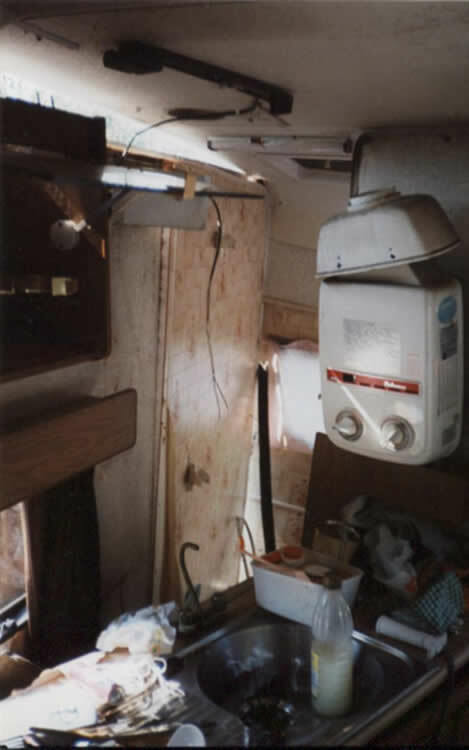 These pictures show Merlin after the rescue truck had delivered him to the scrapyard. 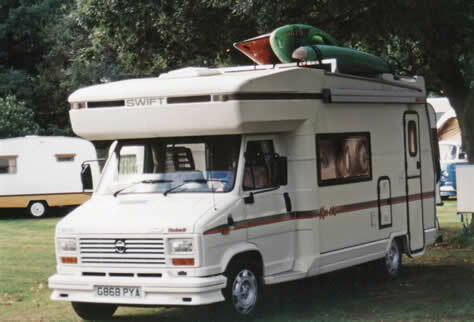 Made by Swift on a Talbot Express 2.5 litre turbo diesel with 5 forward gears. After 6 years of heaving it around the mountains I had power steering added. 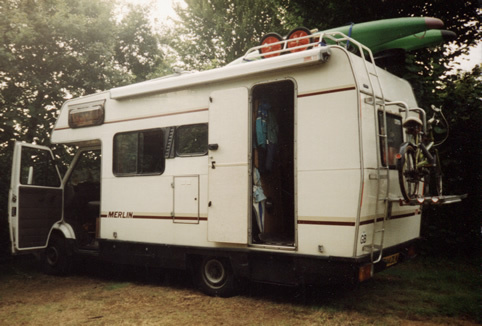 Our home for 20 years and 60,000 miles travelling, mainly in France. 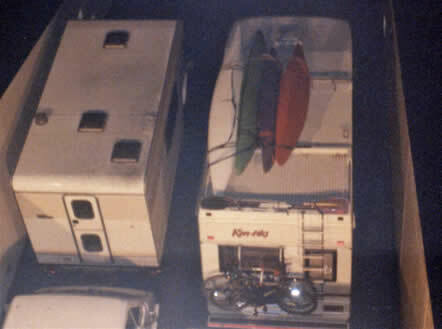 It took 3 mountain bikes and up to 4 kayaks on the roof. Off goes Kontiki. July 2014 Farewell. So sad goodbye and thank you. Upgraded by Marquis from Swift Escape. 2013 model. 560miles. Bought July 2014. 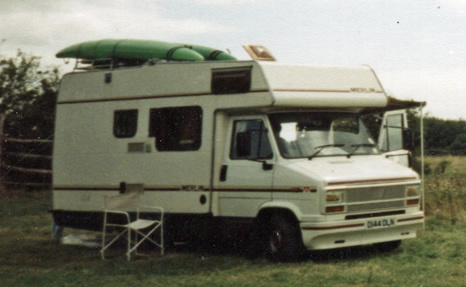 Fiat Ducato Euro V 130 bhp Multijet 6 speed (forward). 2.3 litre turbo diesel.